in any way, was something beyond even them. The timelines existed separately. Never to meet, never to know of the others. rose again and took back what was stolen. own ten worlds provide such opportunity that they've become "homebodies". and very few remember why their home system is called the Fragment. heard of these "Dimensions" or other Gods before. There are no Dimensional rifts or bad blood here. which holds their Traverse Bridge (which allows travel to and from other galaxies). uninhabited or abandoned planets) to find buried treasures. It's a profitable, and dangerous, business. For those who grow up knowing nothing but safety, it's a hook they can't turn away from. gathering a trade routes that offers bounties for things found and brought back from the Expanse. artifacts and treasure, they were among the most profitable Raider groups. many lost consciousness from panic before they could realize they didn't need air just then. the world came back into sharp focus. Only it wasn't the world they were in. It wasn't the buried temple, filled with their latest loot. It was an area in The Valleys, on a world called the Ice Plains, in a Dimension they've never heard of. And their only way back was lost to dust. -No Dimensions. Only All Worlds/The Astralis existed. (Alum'Su), who was responsible for watching over the Fragment Stars. 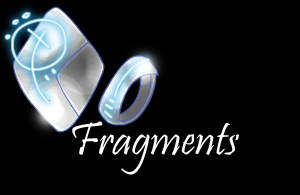 when the fragments were reclaimed. The Pure/The Neutral/The Great Evil do not exist. -Natural Demons only exist in their realm, and keep separate from everyone else/are not known about. -Merkanlos, Krye, Bameizu, and Soals do not exist. the Expanse, as they thrived in the abandoned zones. -Void Elements do not exist. from their alt-counterpart. More territorial, and less friendly. -No Eclipse. No Eclipse curse. CotO/WoRs never happened. -No Gates. No Guardians. No Ice Plains, but one of the planets was named Elemarenita. -Angelics did, but only in certain planets in the Astralis. Unlikely any of these Kats met any. and kept them aware of their own families/blood relatives locations and health.